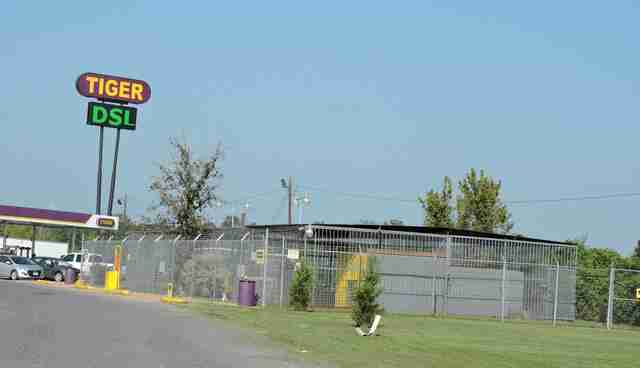 As we celebrated our nation's independence this month, we also mark another year in Tony's life, one that has been spent in captivity and exploitation as a roadside attraction at Tiger Truck Stop in Grosse Tete, Louisiana. 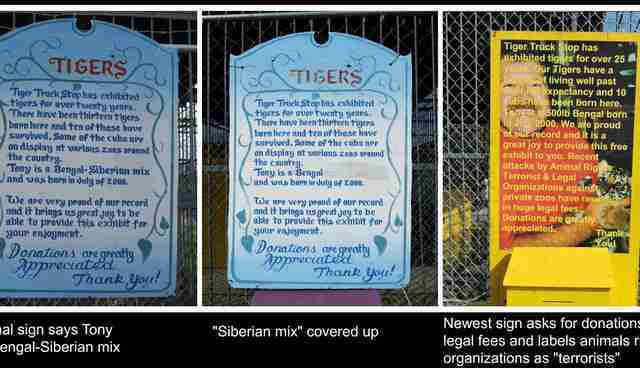 Signs posted on Tony's cage, indicate he was born in July 2000, now making him 15-years old. 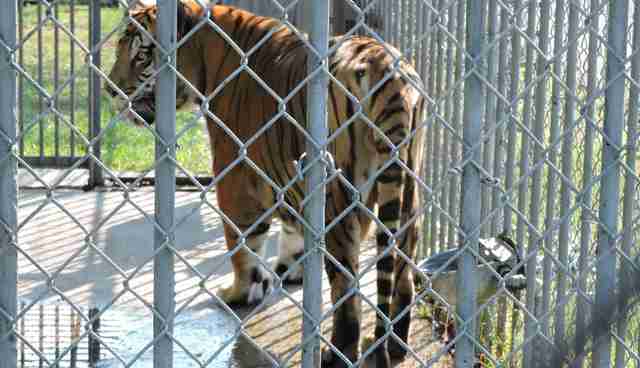 It is reported that Tony was acquired by Michael Sandlin as a 6-month old cub from a Texas breeder. Anyone who has followed Tony's story has experienced both its' highs and lows. Hard fought victories in court by theAnimal Legal Defense Fund found the permit issued by the Louisiana Department of Wildlife and Fisheries was illegal and revoked; LDWF was blocked from issuing a new permit. Each victory was met with an appeal by Tony's owner, Michael Sandlin, and subsequently each appeal was denied. A timeline of Tony's case can be viewed at this link. While Tony's case remains embroiled in a legal battle, we remain positive, supportive and continue our advocacy on his behalf. 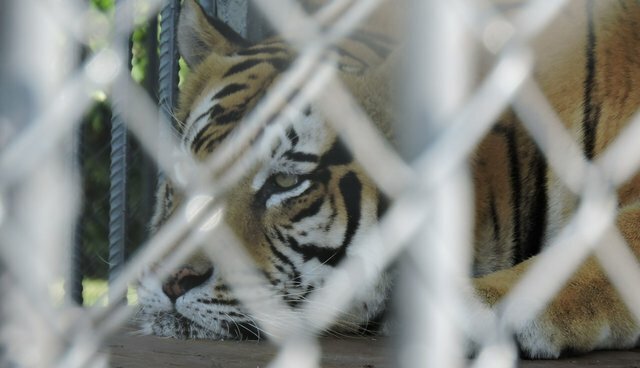 Tony's change.org petition asking the Louisiana Department of Wildlife and Fisheries to enforce the 2006 law banning private ownership of big cats remains open and is nearing 49,000 signatures. Petitions reach people worldwide and keep Tony's story networked and people updated and supportive. 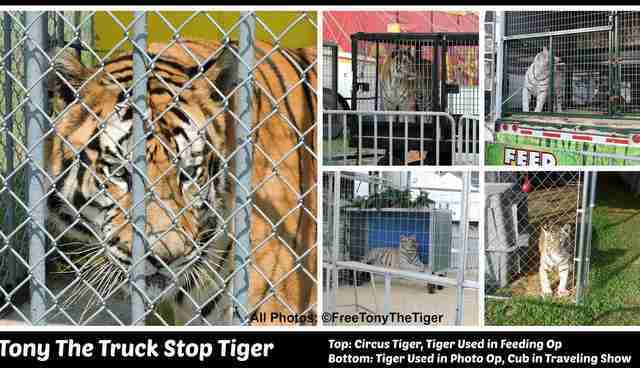 Tony has truly raised awareness for captive tigers in the US where there are anestimated 10,000 to 20,000 big cats kept captive by private owners. The exact number is a unknown because of insufficient record keeping requirements. 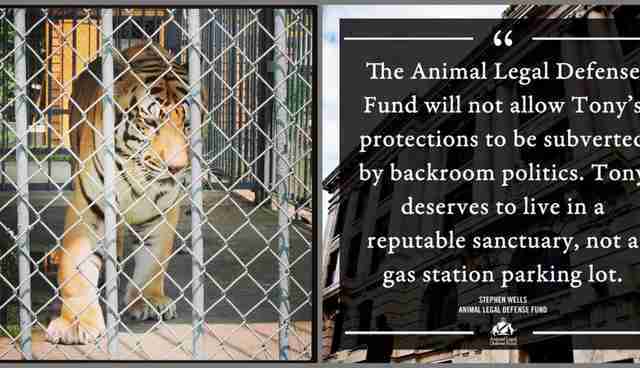 These dangerous animals are kept as pets, exhibited in roadside zoos, perform in circuses and traveling exhibitions, and bred for profit. Cubs are used in "pay-for-play" schemes and photo ops. You can learn more about the big cat crisis by visiting this link. 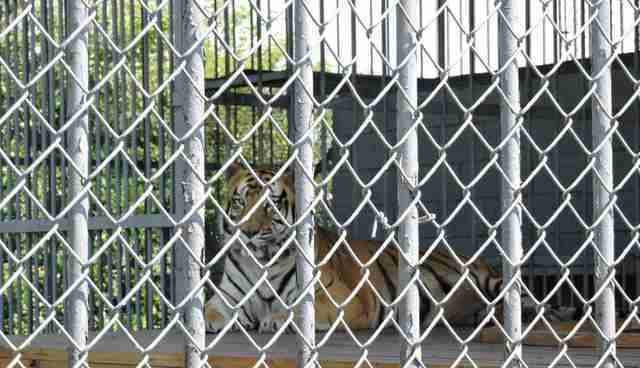 Our vision for Tony is his release to a sanctuary where he will have a home that provides expert care, a natural, spacious, safe habitat, and where he will swim, run, play and engage in a tiger's natural behaviors - finally rid of the noise, smells and his 15 year incarceration at his truck stop "prison." Once again we thank all of Tony's friends for their support and for caring about him. Because of you, Tony's roar will never be silent. 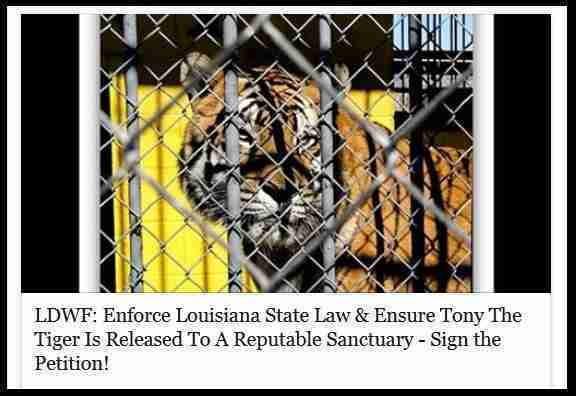 We remain faithfully committed to Tony and look forward to his release to a wonderful sanctuary.